Dalmally, bridge over River Orchy. General view from East. 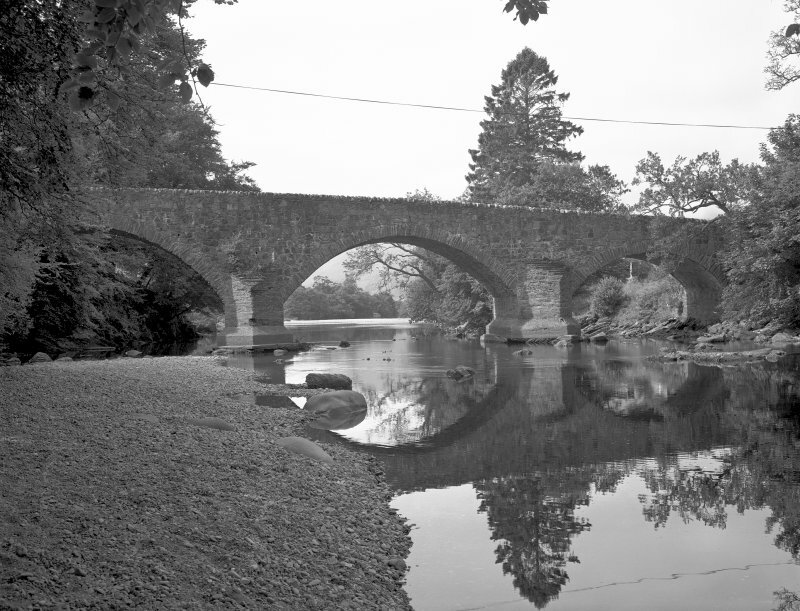 Dalmally Bridge: This three-arched bridge carries the old road from Bonawe via Stronmilchan to Dalmally across the River Orchy at a point about 150m NNW of Glenorchy Church (NN12NE 8). The bridge was constructed by the contractor who had built bridge of Awe, using machinery and centering from the latter, and was completed in 1780. The S bank of the river is somewhat higher than the N bank; the bridge therefore reaches its highest point above the S arch. Although the rubble masonry has been refaced in the upper parts, the triangular cut-waters remaoin intact and preserve their stepped tops. The overall length of the bridge and approaches is 55m and the distance spanned by the three segmantal arches is 43m. The spans of the individual arches, from N to S, measure 9.2m, 12.9m and 14.8m respectively, and the heights of the arches above water-level measure 4.6m, 5.6m and 6.7m respectively. The width of the roadway is 4.1m between parapets 0.38m in thickness. RCAHMS 1975, visited July 1970. 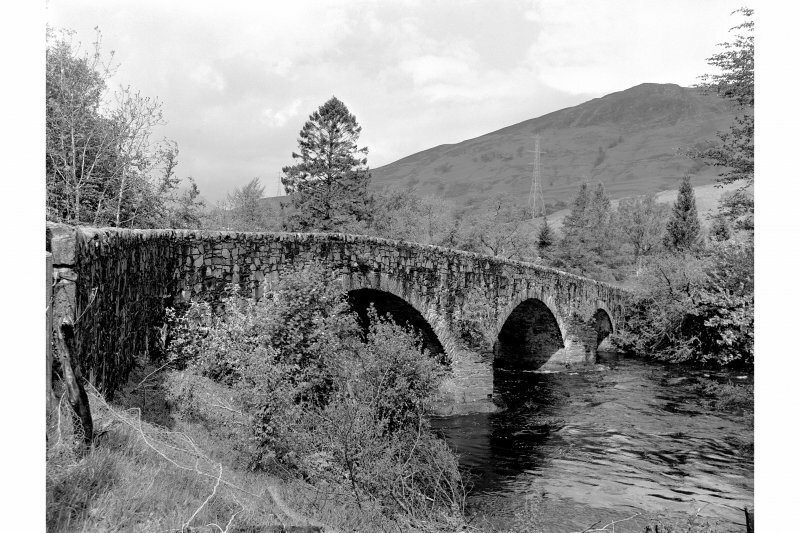 The military road (NN12NE 24, MR 11) traverses the River Orchy on this fine three-span bridge.